HCM City — Overloaded vehicles using road they are not allowed to be travelling along are causing problems for other motorists. That’s the view of chief inspector of the HCM City Department of Transport Trần Quốc Khánh who was speaking to Thanh Niên (Young People) newspaper. The city transport inspectors have revealed details of vehicles carrying more than their permitted load capacity, exceeding the bridge and road load rating, and travelling on banned roads in the city. Also, there are vehicles transporting goods gathering in the area of District 2 and 9 for the loading and unloading activities, again a traffic violation. These cause damage to road surfaces, are unsafe in traffic and worsen environmental pollution. At present, overloaded vehicles of individuals and organisations are fined VNĐ6-20 million (US$260-860) and VNĐ12-40 million ($510-1,710), respectively. 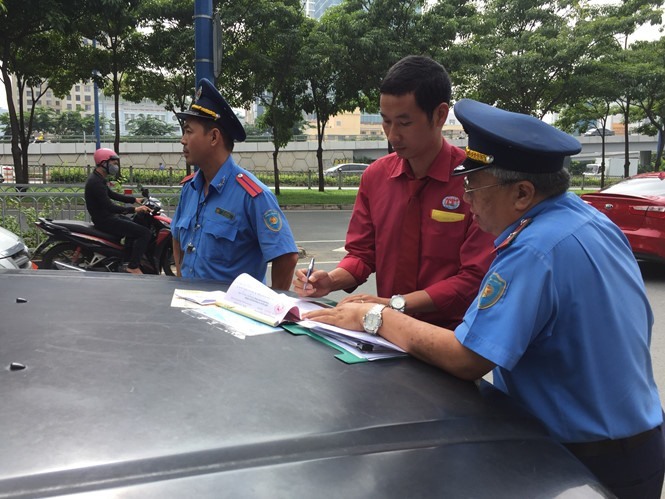 In the first nine months of this year, the inspectors have worked with the Road - Railway Traffic Police Division and discovered 443 violators and imposed fines totalling VNĐ6 billion ($257,200). Of which, there are 387 cases of overloading cargo and 56 cases of travelling on banned roads with fines of more than VNĐ5.9 billion ($254,800) and VNĐ56 million ($2,400), respectively.